Allison Ramsing has been honored as the top new advisor in Region 8. 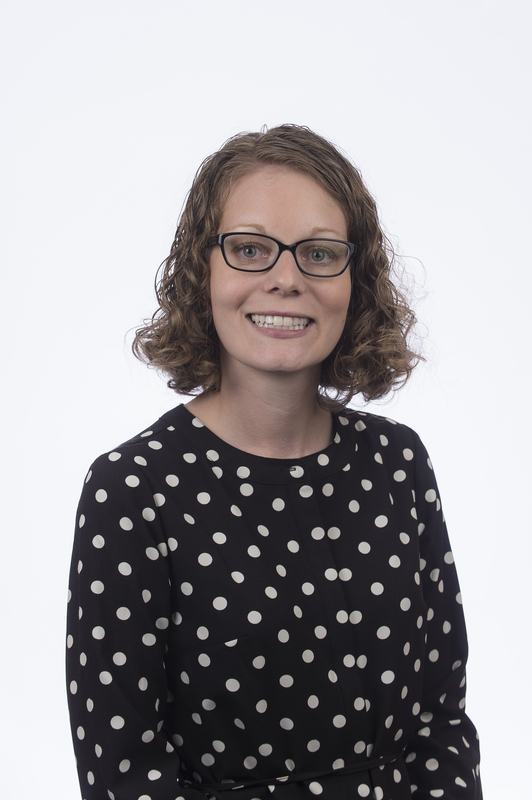 Allison Ramsing, academic advisor in the Oregon State University College of Business, learned while growing up in tiny Aurelia, Iowa, that life was about meeting challenges and mapping out plans to get where she wanted to be. As a child she had a condition that, given the state’s agricultural claim to fame, was an obstacle to say the least. In the nation’s top corn-producing state, not that well. But neither the allergy nor her small-town roots – Aurelia had fewer than 1,000 residents, and her high school graduating class numbered just 33 – got in the way of her pursuing, obtaining and excelling at what she calls her dream job: advising design and fashion students. And her work has drawn the attention of the National Academic Advising Association, which in December named her the Region 8 2014 New Advisor Award Winner. She’ll be honored at the regional conference in Couer d’Alene, Idaho, in March and is eligible for consideration as the national award winner. Ramsing started at the College of Business in July 2012 as advisor and retention coordinator for the School of Design and Human Environment. She holds a Master of Science in Education in Higher Education Administration from the University of Kansas, a Certificate of Appreciative Advising from the University of South Carolina and a Bachelor of Science in Apparel Merchandising, Design, and Production from Iowa State University. Ramsing consults with her freshmen students at least once a term, and with her upper-level students at least once a year. Carol Leder, head advisor for the College of Business, cites two examples of Ramsing’s commitment to student development: co-teaching of a freshman-level course, BA 160, designed to instruct students about how to be successful in college, and advising the DAMChic student club that puts out an online fashion magazine of the same name. (It can be viewed at http://issuu.com/damchicmagazine/docs/la_dramatic/1?e=7666273/9569842). “As an academic advisor, I am responsible for helping foster each student’s potential and assisting them in understanding the difference between a major and a career,” Ramsing said.